Recently campaigning in the eastern state of Saxony ahead of next month’s federal elections, German Chancellor Angela Merkel was booed, heckled and shouted at by protestors angry at her open borders migrant policy and its transformative effects on Germany. 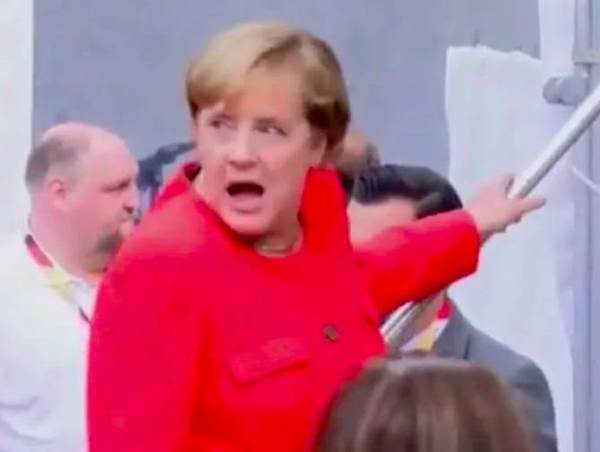 Taking to the stage in the town square of Annaberg-Buchholz, as reported earlier by Gateway Pundit reporter Damien Cowley, Merkel was forced to acknowledge the protest, such was the volume of ”get lost” and ”Merkel must go” chants emanating from the crowd. ‘’Some want to get things done and others just scream’’, the Chancellor commented, speaking alongside local representatives of her CDU (Christian Democratic Union) party during what was her first campaign event in the former East Germany. Photo Credits: MDR, dpa, Sebastian Kahnert.